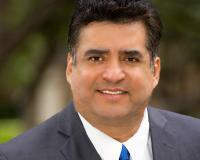 "Jaime Salgado is an exceptional realtor. From showing us houses to helping us find and buy our home, he made it very comfortable and easy. The entire buying process went just as smooth also, including negotiations. I would definitely recommend Jaime to anyone, he will definitely take care of you."